With the advanced technology, monitors are more energy-efficient, reliable, come with high-resolution, good response time and are very versatile. In addition to computing, they can be used for gaming and TV viewing. Nonetheless, there are some that score better in nearly all categories while others are left trailing behind. During our comparison and review, we looked at the key aspects which include size, contrast ratio, resolution, response time, contrast, brightness, connectors and more. 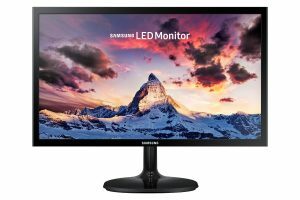 We are able to compile the top 10 best LED monitors for this year. 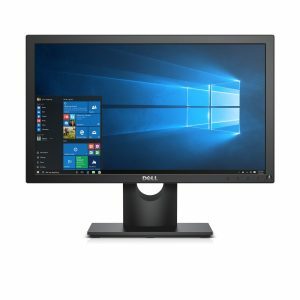 The Dell E1916HV 19-inch monitor black is known as an eco-conscious design and energy-efficient standard monitor, which conserves power with Power Nap and reduce environment impact with its environmentally compliant monitor. It operates on 16.7 million color, VGA input signal and maximum display resolution of 1366 x 768 pixels that give very clear image resolution. Besides the tilt stand, it also comes with a VESA mounting support and a security lock slot (security lock is not include). The product however doesn’t have HDMI port. The Samsung SF350 is rated as one of the slimmest and sleekest LED monitors in the market. The black screen monitor offers 178-degree full viewing angle (vertical and horizontal) for experiencing the screen from any position. This 19-inch monitor has a maximum resolution of 1366 x 768 Pixels along with the blue light reducing and flicker free give your eyes a super comfortable feel. However, it doesn’t equip with built-in speaker and HDMI port. 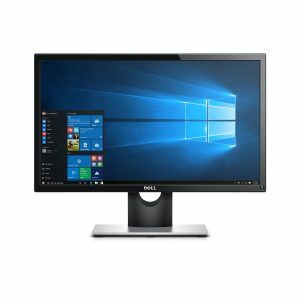 The Dell SE2216H is the best LED monitor. The 21.5-inch monitor has a maximum display resolution of 1920 x 1080 pixels and widescreen Aspect Ratio of 16:9. Consumers also are drawn by its eco-friendly design, energy efficiency, 16.7 million color gamut, 250 cd/m2 brightness, and its widescreen flat panel display. 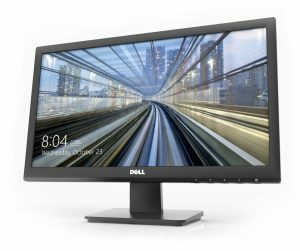 This Dell LED Monitor also available with VGA and HDMI ports. Enjoy quality and sharp images from the Dell D2015H LED monitor. 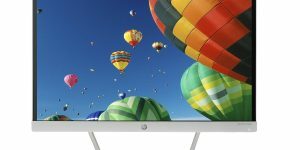 The 19.5-inch screen comes with a maximum resolution of 1920 x 1080 Pixels. The black monitor features backlit LED that ensures you receive clear and bright images at all times. Unfortunately it only comes with VGA ports without HDMI ports. 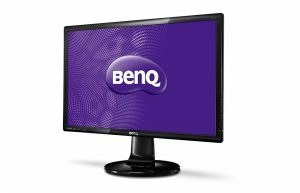 The BenQ GL2460HM LED-lit monitor has an extra wide 24-inch screen with the low blue light and flicker-free feature and 1920 x 1080 resolution provide brilliant image quality for comfortable view. With just 16mm of slim design is a great key for this LED monitor to look more sophisticated. The great selling point of this monitor is its great picture resolution. However, the built-in speaker is a little week compare to other monitor. Rated as one of the top models in the Samsung curved series is the S24E510C LED Lit-Monitor. The 23.6-inch screen is wide and comes in glossy black. Good picture quality is credited to 1920 x 1080 maximum display resolution and 1800R curvature viewing. For limited spaces using, it features an ultra-slim design that gives lightweight and elegant look. 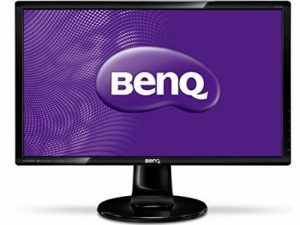 The BenQ GW2265HM 21.5-Inch Monitor built-in speaker give you to experience the audiovisual fun. It comes with revolutionary flicker-free backlit LED monitor. The monitor also offers brilliant images thanks to the 3000:1 Native Contrast Ratio, 1920 x 1080 Pixel, 20M: 1 Dynamic Contrast Ratio and Full HD 1080p resolution. 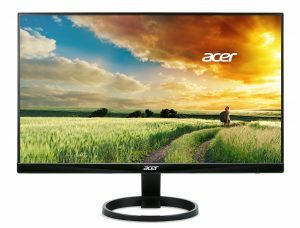 Acer R240HY 23.8-Inch IPS LED Monitor comes with a wide screen display weighs around 6.4 pounds and comes with a 1920 x 1080 display resolution that give a high quality image. The signal input ports include 1 HDMI, 1 DVI and 1 VGA. Though normal, you may find the light bleed (higher-glow) on the edges a bit inconvenience. 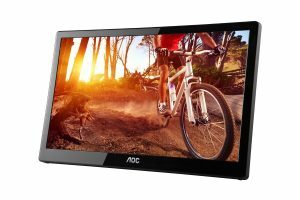 Weighing approximately 2.4 pounds, the AOC is one of the lightest LED monitors. It’s a good option for those looking for a light and portable device. The 16-inch monitor is powered using USB 3.o technology cable instead of the normal power cable. Nevertheless, with a maximum display resolution of 1366 x 768, it lags behind its rivals in regard to picture clarity. 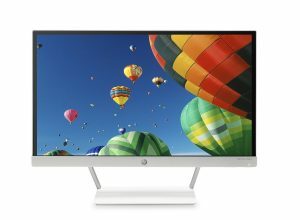 Praised for its “True-to-life color” The HP 22xw is bound to change your viewing experience. The 21.5-inch monitor is very light and weighs only 1.6 kg. It has a screen resolution of 1920 x 1080, 60 Hz and 1080p Full HD. The Bezel-less display delivers sharp and seamless images. 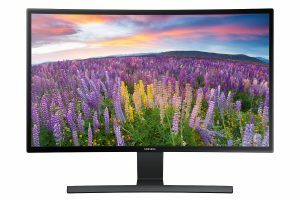 For good panoramic viewing and vibrant detailing, the monitor can be viewed from almost any angles courtesy of the ultra-wide 178-degree vertical and horizontal angle views. It is available in black and white color. We have covered all the top brands while focusing on the key elements that we have mentioned above. Follow our 10 best LED monitors reviews and own a quality and dependable product.